Brad Schmidt has a deep desire and a passion to help those around him break down and understand politics in a clear, concise, and civil way. He loves debate, and has worked since 2014 in terrestrial radio to dig deep and present the truth inviting anyone who dares to challenge him. Brad is a jack-of-all-trades. He's been a trucker, a pastor and just about everything in between. Brad has never shyed away from hard work. Starting in his teen years working his best friend's cattle farm to working his way through college as a tech support specialist; Brad's life experiences have given him an incredibly wide breadth of knowledge on a variety of disciplines. Brad has been married since 1996 and is the father of 2 kids. Outside of work, Brad is avid supporter of the 2nd amendment which has led him to one of his favorite hobbies, trap-shooting. 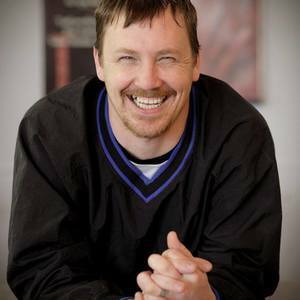 All this combines to make Brad a compelling host who can not only speak to a wide variety of topics but also someone who can relate to just about anyone in a real way. Brad Schmidt has hosted 38 Episodes. Today, was a fun episode on EDC. Not just me and the HIG, we are also joined by special guest Matt O. We spend an hour just barely scratching the surface of EDC but there is still a pile of information for anyone who is interested from the beginner to the expert! Today we talk about the Boy Scouts and the revelation that they are considering filing bankruptcy. We talk about the crisis of mnahood our culture is facing. We alos planned to talk about Obamacare, the government shutdown, and border patrol but we ran out of time. Maybe some topics for another day. James Peppe – his closest friends just call him Pep – is a regular American, NOT a professional politician or wealthy celebrity. He is a small business owner, licensed financial and our guest this hour on The Schmidt Show. James is making a run for the 2020 Presidency and he joins Brad to tell him the how and why! Today we talk about whether or not a blind squirrel has found a nut or if the blind squirrel is just a nut. Is it possible to drain the swamp or do we simply run the risk of draining it into a different swamp. We also took a phone call that revisited last weeks discussion. All in all a great time was had this week on The Schmidt Show Podcast. Episode 16: Do we need a new "New World"
Somewhat of a meandering discussion of race and the founding principles of the United States, the dangers of the destruction of the nuclear family, and race and how it relates to socioeconomic status. It was a bit disjointed but we're sure you'll find it engaging and interesting. Episode 15: Enemy of the People? Is the media the enemy of the people? What about if they intentonally mislead the people? What about if they ignore important stories that people need to know about? It may be time to start taking an objective look at this idea. Episode 14: Prison - Punitive or Protective? Should prison be punitive or protective? The criminal reform bill being discussed right now is not what it purports to be listen in to find out what it is really all about. What happened with the election last week? We'll break it down, talking about what happened in MN and around the country. Also what happened with marijuana and why no protests this year? Episode 12: Who should you vote for? I am often asked, "Who should I vote for?" So every year on my terrestrial I usually go through my local ballot. However with a wider audience on the podcast we will simply give some pointers on hwo to make decisions for yourself. In recent days and weeks we've been told over and over again to tone down the rhetoric. I would suggest that this may actually be just more rhetoric and I would suggest a different tactic. Episode 10: Why do borders matter? Caravans, immigration, and why do borders matter. On this episode I break down the importance of borders and why they matter. I also give a simple 3 step process to dealing with the issue of immigration in the US. TRIGGERED!!! Today we are going touch on a hodge-podge of topics. There isn't much more to be said but it is going to be a fun episode. Noah Chelliah from the Ask Noah Show joins me as well. 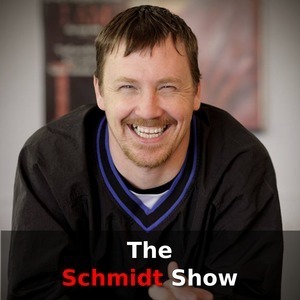 If you are looking for a passionate and engaging look at politics with a side order of not taking ourselves to seriously you are gonna love The Schmidt Show. Economist Dr. Arnold Kling joins The Schmidt Show podcast this week We talk about the myth that there is inherent nobility in poverty. Dr Kling enlightens me on the subject and gives me another way to look at things. We alaso talk about the radical behavior fo the left as they melt down over the confirmation of Justice Brett Kavanaugh to the Supreme Court of The United States. We open the show with a short discussion of the myth of the patriarchy and industry quotas. We then jump into an interview with Paul M. Jones. He is an internataionally recognized expert in the PHP programming language and a strong voice in oppoisition to the Contributors Covenant Code of Conduct. There has been a lot of talk lately about the need to believe sexual assault victims. While this seems supremely noble on the surface, beleive an accusation simply based on the nature of that accusation may acutally be detrimental to those who may bring allegations and/or accusations in the future.